Vegan Salads! They should be pretty easy to throw together for a filling, healthy mid-day meal or dinner. Salads can be used as side dishes or they can form a full meal depending on the ingredients you choose to add. But you should note that salad making is an art which can be easily screwed up too. A balance of the correct amount of toppings and the right mix of flavors is what you should focus on. Get inspired by our vegan salad recipes and take your salad routine to next level. You may make the easiest vegan salad recipes with quinoa, hemp seeds, tofu, leafy vegetables, fruits, and much more. Keep reading for exciting vegan salads recipes below. This is a super flavoursome salad with delicious, creamy roasted garlic-tahini sauce topped with crunchy spiced chickpeas! This is one of the easy vegan green salad recipes you should try. 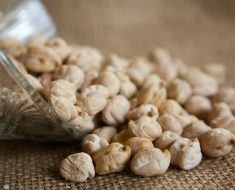 Toss chickpeas with oil and seasonings and keep aside. Preheat oven to 375 oF (190 oC). 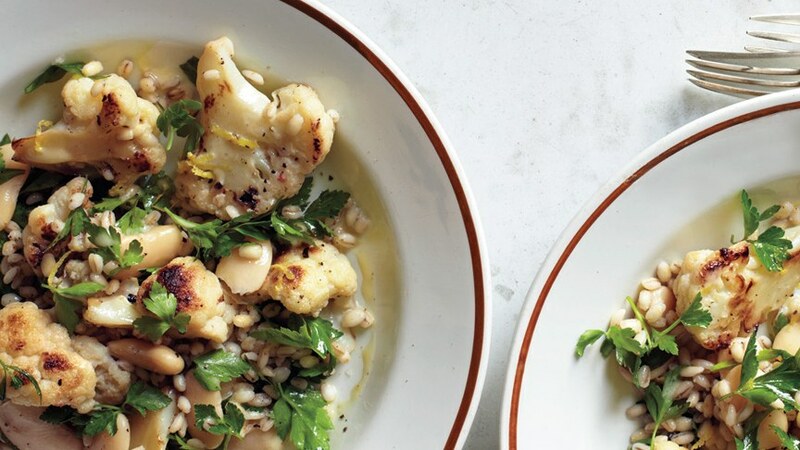 Place garlic cloves and chickpeas on a baking sheet, drizzle with olive oil and bake for 20-23 minutes or until chickpeas are golden brown and crisp and garlic turns slightly brown and fragrant. Remove from oven and set aside. Peel away garlic skins and add to a mixing bowl. Add all dressing ingredients and whisk along with garlic to a smooth paste. Adjust seasoning with lime or maple syrup according to taste. Take kale in a bowl, add 1 tbsp lemon juice and olive oil to it and massage well. This softens its texture and lessens the bitterness. Now add dressing as desired and mix well. 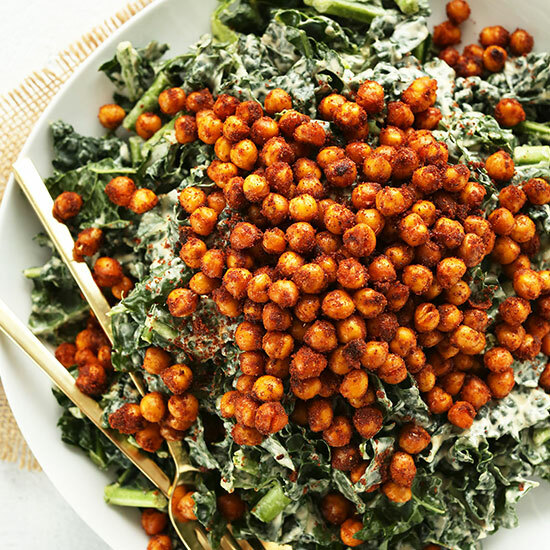 Top with tandoori chickpeas and serve. Vegan salads with protein will give you a healthy heart and muscular physique. 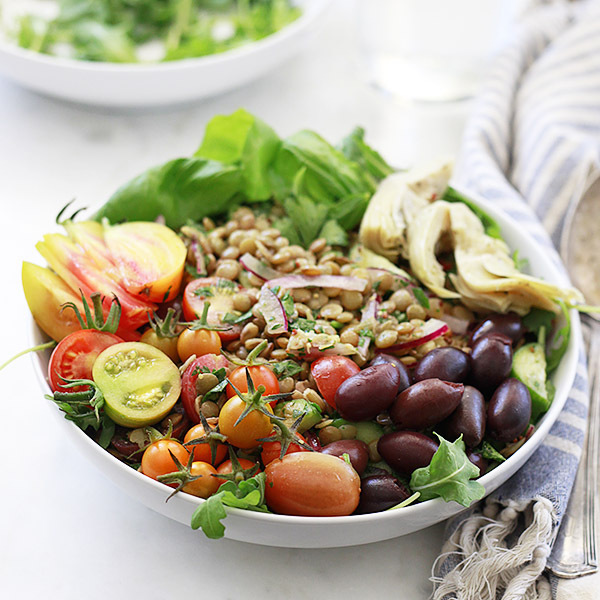 This flavorful lentil salad dressed with mustard vinaigrette makes you feel good all day. Simmer the lentils with 4 cups water for 20-25 minutes till they are just tender. Drain and cool. In another bowl whisk together olive oil, vinegar, lemon juice, mustards and salt. Combine lentils and the veggies with mustard vinaigrette and serve immediately. Yummy refreshing summer vegan salads are what you need this season. 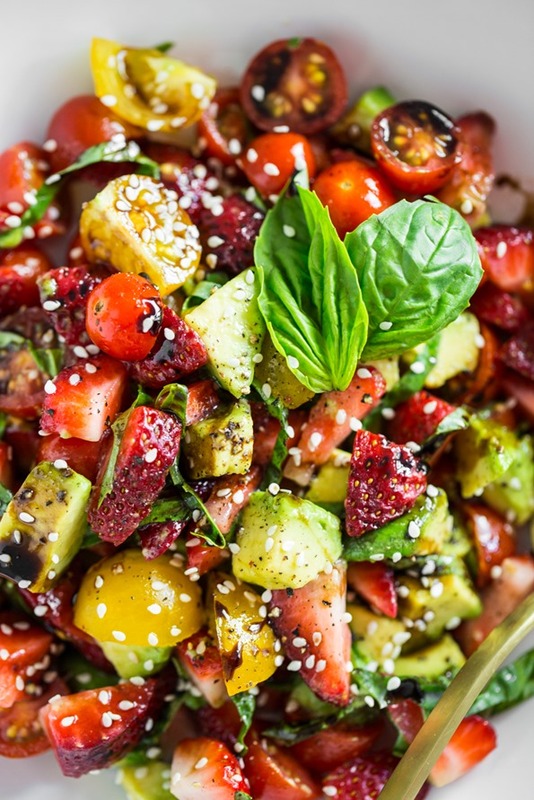 Try this awesome mix of avocados and strawberries with a burst of flavors from basil and balsamic reductions. It works well as a vegan side salad on a hot day. Bring vinegar to simmer over medium heat. Now reduce the heat and simmer again for 6-10 minutes on low heat, uncovered till it thickens and reduces by half the volume. Set aside. In a bowl, add strawberries, avocados, tomatoes and basil. Drizzle some olive oil and toss gently. Season with salt and pepper and toss slightly. Scatter some toasted sesame seeds now. Finally drizzle the balsamic reduction and serve immediately. 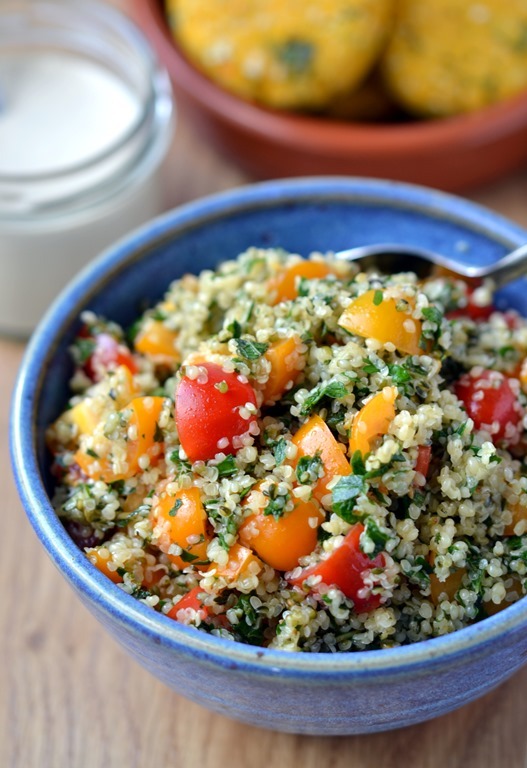 Tabouli is a healthy, protein-packed twist to your palate! It is a great option of vegan salads for work as it doesn’t require any cooking and gets ready in less than 10 minutes. Serve with some crackers and hummus for a delectable mezze platter. Mince parsley, mint, and sea salt in a processor and transfer the mixture into a large bowl. Add tomatoes, hemp seeds, hemp oil, and lemon juice to the herbs and mix well. Serve. You may store the tabouli in the fridge for 2 days in airtight container. Enjoy the delicacy at work! Vegan salads turn out so yummy and delicious. This vegan salad Jamie Oliver recipe is a must try when you want to feast on something healthy and filling enough. The mix of veggies with the flavorful burst of passion fruits will make you drool. Let’s prepare the dressing first; finely grate some orange zest into a bowl and squeeze in the juice. Halve the passion fruit, scrape out the pulp in the bowl and add olive oil. Give it a mix. 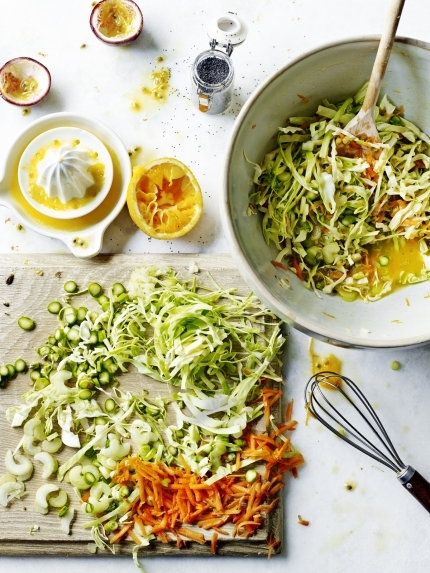 Finely slice cabbage, asparagus, spring onion, and celery and add into a bowl. Now peel and coarse grate the carrot and apple into the veggies. Pour the dressing and toss lightly. Lastly, add season to taste and mix well. Serve immediately or let the salad rest in the fridge to allow the flavors to mingle in well. Garnish with shredded spring onions and poppy seeds. Warm vegan salads are just as good and delicious you’ll want to snack on the coldest days of the year. In winters we are not interested to eat cold salads so here is a simple warm recipe with roasted veggies and cooked beans or grains. In a saucepan add water and cook barley (seasoned with salt) until tender, 25-30 minutes. Drain and set aside. 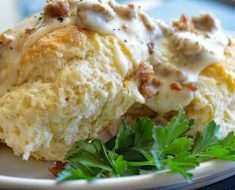 In a medium bowl whisk lemon juice, Dijon mustard, mayonnaise, and 5 tbsp oil until emulsified. Season the dressing with salt and pepper and keep aside. Heat 1 tbsp oil in a large skillet over medium heat. 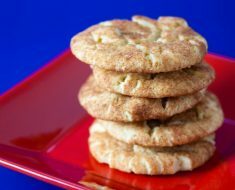 Add cauliflower florets and cook till brown spots appear, 10-12 minutes. Add just little water and cover; cook till just tender. Season them with salt and pepper. Transfer cauliflower to another bowl. Now add beans, some parsley, tarragon, barley and half dressing. Toss gently to coat and season again with salt and pepper. Finally drizzle remaining dressing over the salad. Garnish with lemon zest and remaining parsley and tarragon. 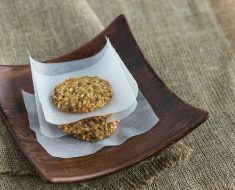 Do try and let us know how these delicious treats turn out to be. Share more vegan salads recipes with us in the comments section below. We will be delighted to hear from our readers.